A parliamentary inquiry led by Liberal Senator Jane Hume has recommended the government reconsider its proposed reforms of the R&D Tax Incentive. The stunning outcome follows extensive advocacy by the life sciences sector, led by AusBiotech, Medicines Australia and BioMelbourne Network. The proposed reforms include a cut in the benefit provided under the program, with a limited exemption for investment in clinical trials, and the introduction of a new 'intensity' test that was designed to encourage investment in additional R&D. However, the sector has opposed the reforms, arguing they are retrospective and will negatively impact its investment in local R&D. The sector was shocked when one official acknowledged during the inquiry that the government had not even modelled the impact of the proposed changes on R&D activity. The report released yesterday acknowledged that the "majority of submitters" raised concerns about the proposed changes. Its single recommendation was that the Senate "defer consideration" of the changes "until further examination and analysis of the impact" are undertaken. The report was particularly critical of the intensity test, describing it as a poorly targeted policy that would severely disadvantage companies that manufacture in Australia. AustBiotech welcomed the report. 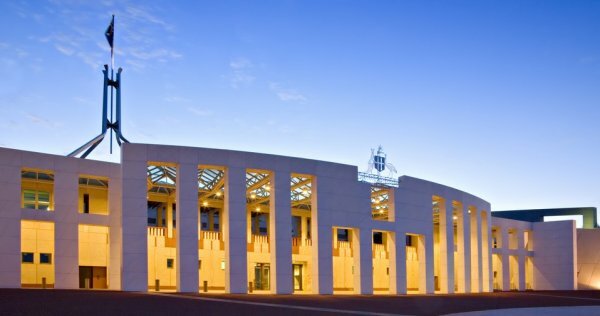 “After strongly urging the Inquiry not to recommend passage until the impacts are better understood and can be mitigated, AusBiotech is heartened by the report’s recommendation that ‘consideration of the RDTI Bill be deferred until after further examination and analysis of its impact,” said CEO Lorraine Chiroiu. “AusBiotech commends the Senate Committee for their thoughtful response and the recognition that there are indeed potential impacts, especially in regard to the intensity measure. "We hope the Senate accepts the recommendation to defer the Bill and reconsider the need for an intensity threshold for the biotechnology and pharmaceutical sector," said Medicines Australia chief executive Liz de Somer. "This would ensure that research-based pharmaceutical companies and medicines manufacturers would be incentivised to continue to invest in important local research and contribute to the Australian economy. "It was encouraging to note the strong agreement within the sector on these proposed reforms. A unified and thriving research sector in Australia’s R&D is an important part of the economy. A recent KPMG report found that from 1990-2004, Australian medical research delivered a return on investment of $3.90 for every dollar invested, and that of the $78 billion in gains, $52 billion has been delivered in the form of health gains, and $26 billion in wider economic gains and from commercialisation of medical research. "With metrics like that reinforcing the importance of medical research, it’s easy to see the incredible value that our sector delivers to both the economy and to society."